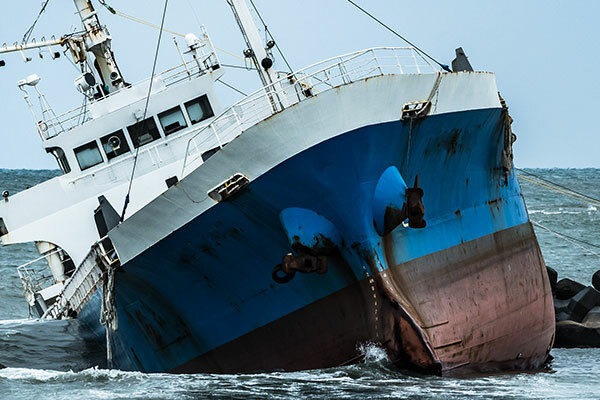 Maritime Alliance Group provides unparalleled expertise to the maritime, transportation and insurance industries in the areas of spill and crisis response management, prevention, regulatory compliance and marine and cargo surveying services. Are Any Jobs To Complex Or Challenging? We provide quality services performed by the industry's most experienced technical experts. No job is too complex or challenging for our capable team. What Is Best Way To Contact Maritime Alliance Group? For 24 Hour Emergency Support, call us at 732.738.4300. For questions about our services call 732.738.4300. Or if you would like to complete the online form visit our Contact Us page. "Your spill management team was invaluable in the organization and implementation of the entire response. We were particularly impressed with your fine working relationship with the federal and state responders, who seemed to breathe a collective sigh of relief on learning of your involvement." "On behalf of the people of eastern Rhode Island, I would like to thank you for your hard work and dedication in seeing the cleanup process through. The oil spill was an unfortunate occurrence, but the process that followed is serving as a model of how successful relief efforts should be run." "I would like to thank the oil spill team with their performance last week during the Prep Drill. I thought everyone did an exceptional job while dealing with a difficult scenario. This is by far the biggest drill that I have been involved with. We had a full blown equipment deployment that included fire, heavy rescue, oil spill and security equipment. We utilized the IAP software and produced an accepted Incident Action Plan the first day." "We were all very pleased with your performance. You responded quickly and effectively to the incident. The assistance that you provided was very professional and helped to reduce the concerns that the Coast Guard and ship personnel had." "On behalf of Bay Towing Corporation, we would like to extend to you our sincere thanks for the highly professional and effective assistance you provided during the recent salvage operation of the tug Bay Titan."